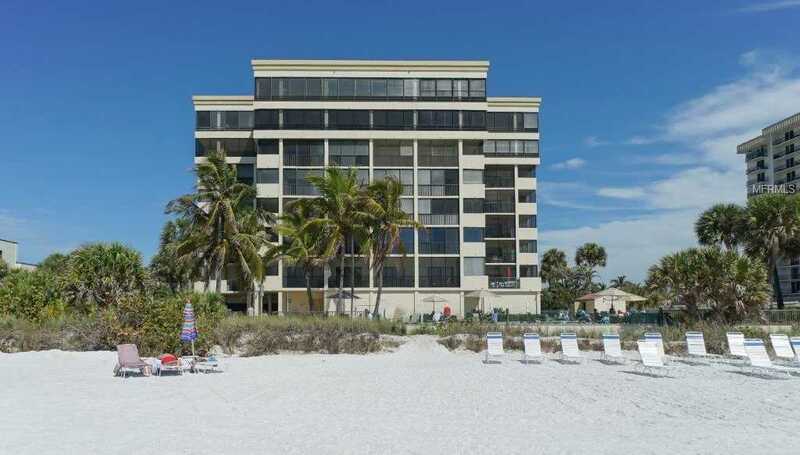 WELCOME to this gorgeous residence located in the sought after LIDO SURF & SAND community on Lido Key. A complete remodel brought contemporary life to this move-in ready 2 Bed/2 Bath condominium. No expense was spared towards the updates which provide European flair throughout the residence. The desirable open concept is utilized in this modern kitchen which allows for easy living & functionality throughout the dining/living room. Luxury details include quartz counter tops in the kitchen, top of the line stainless steel appliances, wine cooler, exotic hardwood floor, glass tile imported from Italy in master bathroom, custom built-in closets in both bedrooms, Bosh washer & dryer in unit and new up to code retractable glass windows in living room. Views of the gulf & the Preserve were both taken into consideration when enclosing the lanai to enhance the living space. A Southern exposure provides a bright atmosphere in main areas of the residence. Enjoy the mesmerizing turquoise blue water of the gulf while drinking coffee in the morning. Ideally situated on Key, Lido Surf & Sand amenities include a heated pool & spa, sauna, exercise room, community room & 25 lb pet allowed. Lido Surf & Sand underwent major renovations such as, new roof, new piping, new lobbies, new paver, new fitness room, with on-site manager. World famous St Armand 8217;s circle is just around the corner. Enjoy A 100 acre nature preserve, where you can walk nature trails or go kayaking. Offered fully furnished, SO JUST BRING YOUR SWIMSUIT! Restrictions: One pet only cat or dog max 25 lbs. Please, send me more information on this property: MLS# A4427766 – $649,000 – 1102 Benjamin Franklin Dr #408, Sarasota, FL 34236. I would like to schedule a showing appointment for this property: MLS# A4427766 – $649,000 – 1102 Benjamin Franklin Dr #408, Sarasota, FL 34236.